Truck accidents present a significant risk to motorists. Of particular concern are rear underride crashes. Rear underride crashes involve the front end of a vehicle impacting the back of a larger vehicle (like a tractor trailer). The smaller car slides underneath the chassis of the truck impacted from the rear. The passenger compartment of the rear vehicle is crushed in many of these cases since the car slides underneath the truck. This can result in fatalities for motor-vehcile occupants. Devices designed to protect against underride accidents exist for tractor-trailers. Safety rules also exist to ensure rear-guards are installed to prevent a passenger car from sliding underneath these types of trucks. Even so, many underride protections fail to prevent passenger vehicles from sliding underneath single unit trucks. To try to save lives and prevent deaths from underride crashes, National Highway Traffic Safety Administration (NHTSA) has announced proposed rules addressing underride crash protection equipment. NHTSA has also announced another proposed rule to address the visibility of single unit trucks. NHTSA's first new rule would impose a requirement for rear impact guards on single unit trucks. Single unit trucks are described as trucks with a gross vehicle weight rating of 10,000 pounds or greater that do not have trailers attached. Most single unit trucks are straight trucks, with one chassis on which the engine, cab, cargo area, and drive train are all mounted. Single unit trucks are used for many everyday tasks. Examples include local delivery trucks, concrete mixers, garbage trucks and haulers, dump trucks, and tank trucks. If NHTSA's proposed rule moves forward and becomes a mandate, the new requirement for rear guards on these vehicles could both save lives and prevent injuries. As many as 342,000 additional vehicles would be required to have underride guards under the proposed regulation, which are not currently required to have underride guards. NHTSA's second proposed rule also addresses improving safety and reducing crashes caused by single unit vehicles. The second rule would require reflective tape be installed on single unit vehicles. Around 579,000 trucks would be affected and would need to comply with the new rule. The goal of the reflective tape is to make the single unit trucks more visible to other drivers. This, in turn, will help prevent underride crashes because other motorists will be better able to see the vehicles and less likely to strike them from the rear and drive underneath them. Crashes with single unit trucks can happen for many different reasons, including trucks stopping short, cutting off drivers, and failing to obey the speed limit. 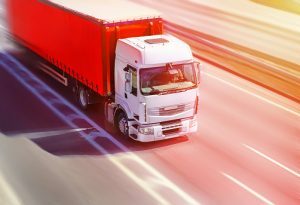 If the truck driver is wholly or partly responsible for causing an accident while operating a single unit truck, crash victims or their surviving family members may be eligible for compensation from the truck driver or from the trucker's employer. It is unclear if NHTSA's proposed rules will pass and become regulation in the future. Hopefully, steps will be taken to help ensure these single unit vehicles are made safer and other motorists are better protected from underride crashes.